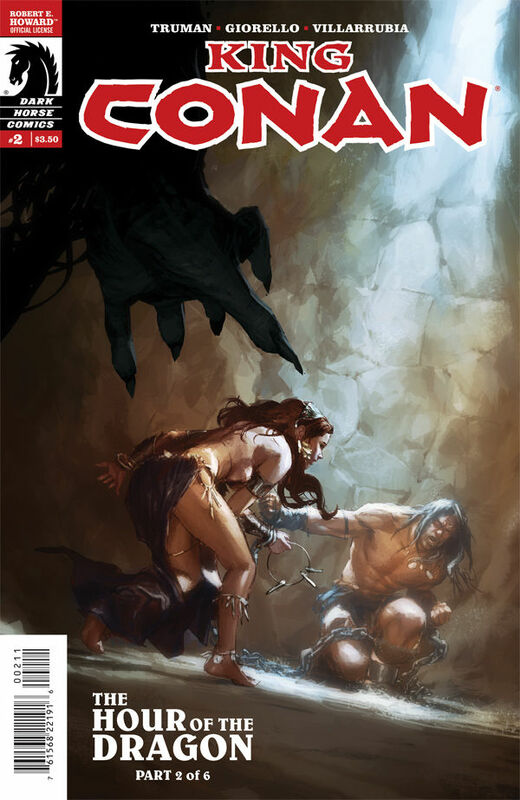 Today, Issue #2 of 6 of the Conan series King Conan: The Hour of the Dragon by Dark Horse Comics hits the shelves. This is scripted by Timothy Truman, with art by Tomas Giorello and adapted from the novel of the same name by Conan creator Robert E. Howard. After reviewing issue #1 of this last month, I was on the fence with this miniseries which compelled me to read on. Will this issue sway me one way or the other? Read on to find out! The other night, Wilderowens and I attended a screening of World War Z. I wasn't in the best of moods, thanks to bad weather and some disorganization with the people running the event, so my already low expectations, were running even lower when the movie started, but I love when a movie surprises me. The first thing I noticed was how much better the 3D was on this compared to Man of Steel. Without any fancy tricks, there was a lot of depth to the film. Five minutes in and I was already thinking, "This is how you do 3D." Was it necessary? No. 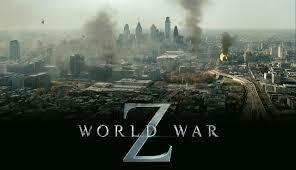 But unlike Man of Steel, where the 3D did absolutely nothing to enhance the film, WWZ used it well. There were many beautiful and interesting shots that were enhanced by the 3D. 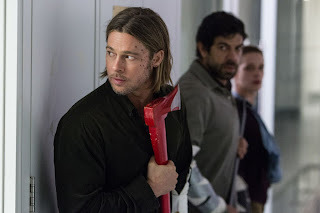 This is really Brad Pitt's movie. There are several supporting characters, but because Brad Pitt was constantly on the move, they didn’t get to stick around long enough. I enjoyed his interactions with his family. When he's talking to his kids, you could see that he's only partially acting because his paternal nature was just naturally coming out. This wasn't the type of role I had expected from him. I thought he'd be playing more of an action hero, but he didn't. Gerry was a guy who had been in action and could handle himself, but he's no Stallone or Schwarzenegger. He's not looking for a fight; he's looking for answers. If anything, Daniella Kertesz' Segen was much more of a badass than he was. She's a relative newcomer, having done some work in Israel, but I think we're going to be seeing a lot more of her. Of all the other actors in the movie, she was the standout. not always showing everything and letting our imaginations run wild. That's what WWZ did. It created suspense. I'm not ashamed to admit there were a few moments where I had to cover my eyes because I couldn't handle the buildup. In a way, WWZ reminded me of the old horror movies for the 1930's and 40's - some cheesy effects, (the climbing zombies looked weird, and the other zombies didn't look great until the end, when they had more close ups) but delivers on suspense and thrills. I haven't read the book yet, so I can't tell you how it compares, but the way I see it, any movie that causes me to reevaluate my zombie apocalypse survival plan is a good one. Give it try. 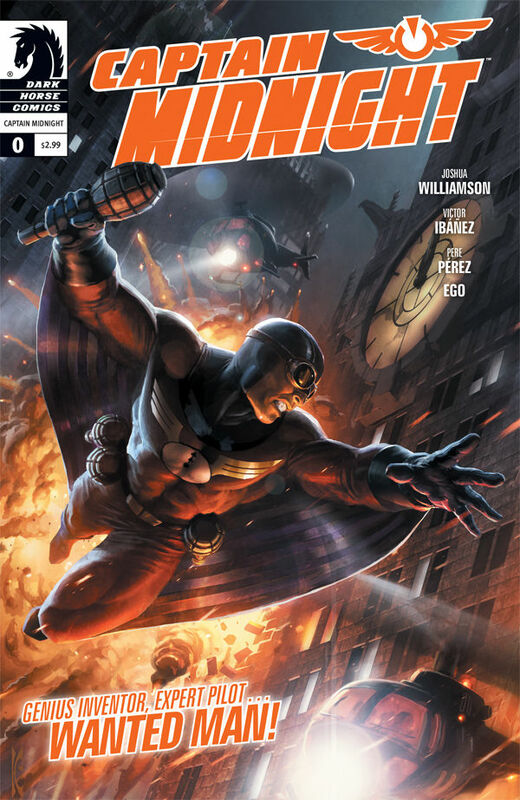 Today I'm reviewing the first of Dark Horse Comics' new wave of super hero titles, Captain Midnight #0 written by Joshua WIlliams with art by Victor Ibanez and Pere Perez. Dark Horse had announced not long ago that it would be launching more super hero titles, despite the fact that they were starting to focus more on horror comics again and doing them fairly well. I was not excited about this shift for them and think they shouldn't be doing this at all, but I thought that it was important to give it a shot. I just read Dark Horse Comics' The Victories: Touch Vol. 1 collecting issues #1-5 of the mini-series before the recent on-going. 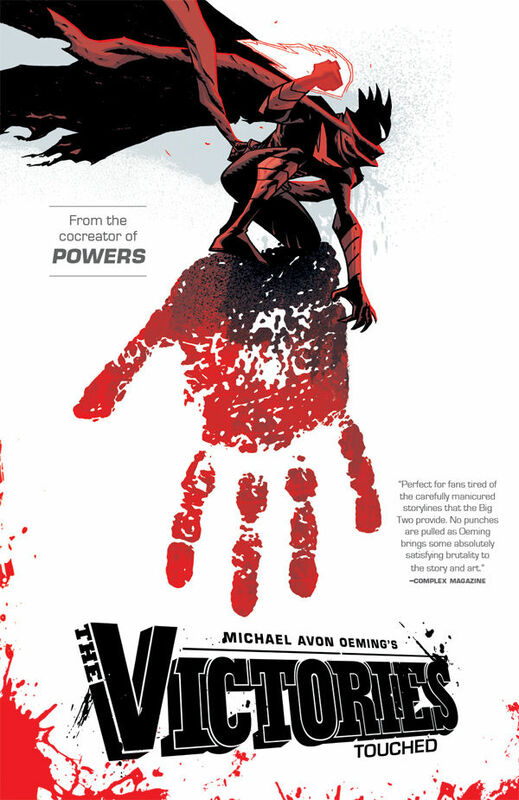 The Victories is a Michael Avon Oeming (co-creator of the Marvel imprint Icon's Powers) property that he writes and illustrates. Oeming is facilitated in this endeavor with coloring by Nick Filari and lettering by Aaron Walker. The Victories is a superhero comic. If you got a chance to read my review of The Mighty Titan #1, you'll know how I feel about superhero comics outside of the big two currently, which is that they aren't too necessary and we should really be developing comics in all genres further since we are over-saturated with superheroes. This book does not sway my opinion on that. That also does not mean that this is a bad book; far from it. 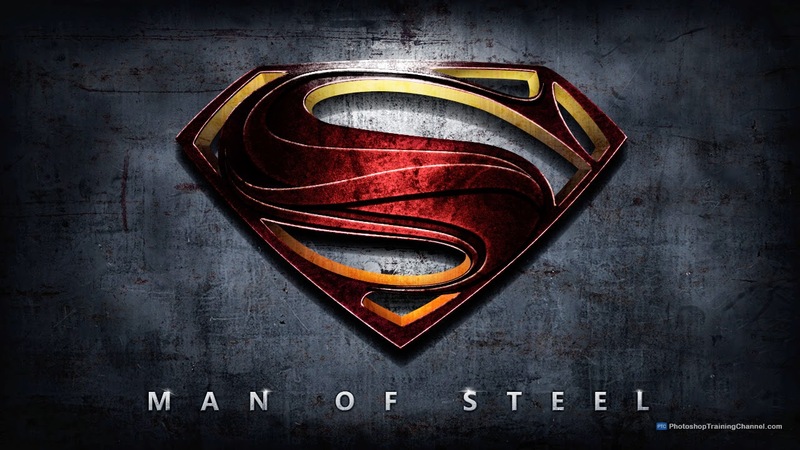 This week marks the return of the first superhero to the big screen in Man of Steel. Three of the [IGH] family got a chance to see it right before it opened and you know we all had different feelings. 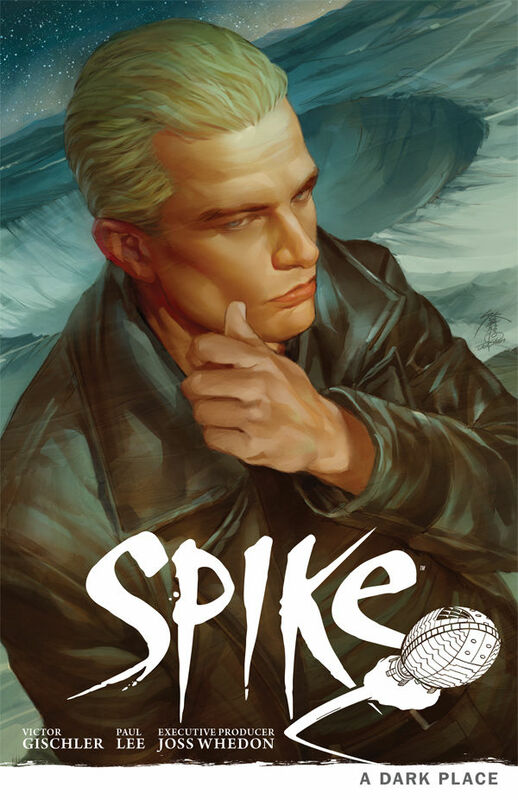 Spike: A Dark Place TPB collects issues #1-5 of the mini-series of the same name. Like all of Whedon's properties in comic book form, it is put out through Dark Horse Comics. As always, Joss Whedon is credited as Executive Producer, and this particular story is scripted by Victor Gischler, penciled primarily by Paul Lee, with chapter break art by up and coming cover artist Jenny Frison whose done covers for Hoax Hunters, Revival, and will be doing one of the Red Sonja covers as well. This particular story in the Whedonverse takes place in the middle of Buffy Season 9. For those of you who familiar with Dark Horse, you know that Buffy has continued since it ended with its 8th season in comic book form with Joss' oversight and approval (so it counts!). In the case of this story, if you aren't well read in the post-TV seasons, you will feel out of place. There are wise cracking and endearing bug aliens, Spike is on a spaceship, and did I mention the bug aliens? Do not let this discourage you, Buffy fans! The same sort of witty exchanges can be found here. However, in the case of this story, it does fall a little short at times. Minds were blown and hearts were broken during Sunday's episode of Game of Thrones. I'm not going to say why because if you haven't read the books or seen the episode, you would be deprived of the experience of finding out for yourself. So this post is not for the uninformed. If you don't want to be spoiled, move along. Now that the "unsullied" are gone, let's talk about what happened. HOLY S*%$SNACKS! How insane was that?! As crazy as the episode was, what's even better is the internet's reaction to what happened. The internet exploded. You know you're doing something right when so many people get so worked up of a piece of fiction. My personal favorites are "The Red Wedding" twitter, which hosts the various reactions across the twitterverse. They range from the typical "I HATE YOU GEORGE RR MARTIN!" to "I'm canceling HBO because of this" to "My life is over because of GoT" to "Can Bob the Builder fix Robb Stark?" and everything in-between. It's one of the funniest things I've ever read. The Daily Beast put together a compilation of fans reacting to that big moment and I wish it was longer. Some of these reactions are priceless. Check it out. *Side note* Can I just say how much I love how many females are included in this? We love GoT too. And finally, there is this - GoT's own Maise Williams (Arya Stark) posted her reaction. What was your reaction? Do you know people who flipped out? Tell us your stories. It's a sad day for Whovians. According to the BBC, after four years, Matt Smith is leaving Doctor Who after the Christmas Special. There have been rumors circulating for months and at one point, we thought we had confirmation that he was going to be around for at least some of the 2014 season, but now we know that is was all a ruse. "Doctor Who has been the most brilliant experience for me as an actor and a bloke, and that largely is down to the cast, crew and fans of the show. I'm incredibly grateful to all the cast and crew who work tirelessly every day, to realise all the elements of the show and deliver Doctor Who to the audience. Many of them have become good friends and I'm incredibly proud of what we have achieved over the last four years. Having Steven Moffat as show runner write such varied, funny, mind bending and brilliant scripts has been one of the greatest and most rewarding challenges of my career. It's been a privilege and a treat to work with Steven, he's a good friend and will continue to shape a brilliant world for the Doctor.The fans of Doctor Who around the world are unlike any other; they dress up, shout louder, know more about the history of the show (and speculate more about the future of the show) in a way that I've never seen before, your dedication is truly remarkable. Thank you so very much for supporting my incarnation of the Time Lord, number Eleven, who I might add is not done yet, I'm back for the 50th anniversary and the Christmas special!It's been an honour to play this part, to follow the legacy of brilliant actors, and helm the TARDIS for a spell with 'the ginger, the nose and the impossible one'. But when ya gotta go, ya gotta go and Trenzalore calls. Thank you guys. Matt." I don't know about you guys, but I'm going to miss Smith. I didn't like him at first, but I realized his Doctor was just what was needed after David Tennant left. 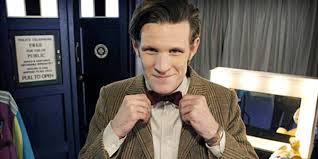 So thank you Matt Smith for your quirky, mad, bow-tie loving, fez wearing Doctor.